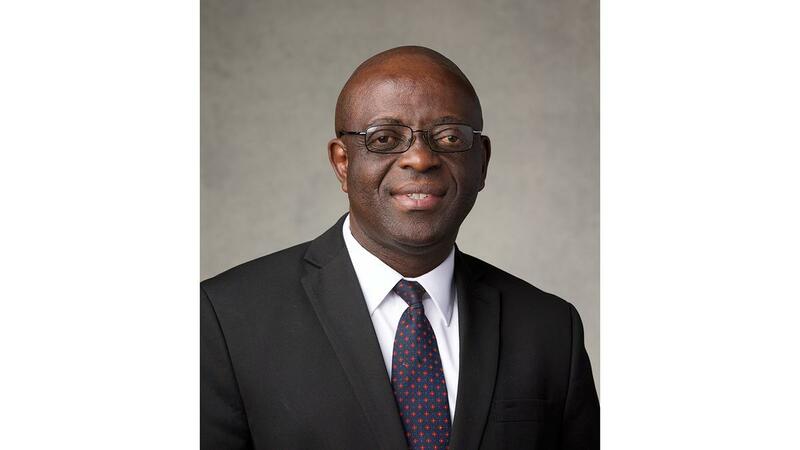 Elder W. Jean-Pierre Lono was named a member of the Third Quorum of the Seventy of The Church of Jesus Christ of Latter-day Saints on April 5, 2014. Elder Lono worked as a teacher for the Mabuidi Institute from 1986 -1990. He then graduated as an electro-mechanic from an Institut Supérieurin in 1990, and then graduated as a surveyor from the Ecole Nationale de Cadastre in 1995. In 1994 he began working for the Ministry of Land Affairs as a surveyor, where he is still employed. Since joining the Church in 1989, Elder Lono has served in numerous Church callings, including branch clerk, high councilor, branch president, stake president’s counselor, and stake president. Wembo Jean-Pierre Lono was born in Lubumbashi, Katanga, Democratic Republic of the Congo, on July 7, 1959. He married Mukwakaya Angel Tshisekedi in November 1991. They are the parents of eight children. Elder and Sister Lono reside in Kinshasa, DRC.